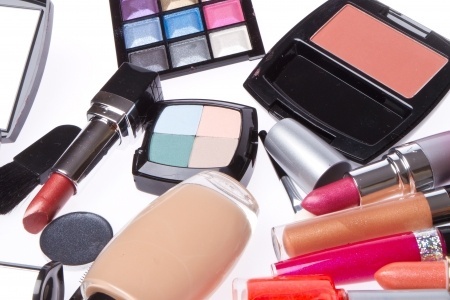 Makeup doesn't last forever, which is why it's important to toss cosmetics past their prime. Makeup isn't one of them. Unlike diamonds, it expires. Those expiration dates on cosmetics are not a marketing ploy to get you to buy more eye make up when you can still scrape some definition out of your old mascara tube. With cosmetics, it's a safety issue. Especially with eye makeup. Every time you wand on that mascara and dip the brush back in the tube, you transfer bacteria from your eye to the tube, where it will make baby bacteria that you will then reapply to your eyes the next day. Here's how long makeup lasts, by type of cosmetic. Here's how long make up lasts once you've opened an item. Start the time clock when you open the container. Since you'll never remember, write the expiration date on a file label or on the product label itself with a permanent marker. Toss disposables; wash others regularly. Keep containers tightly closed and store them at room temperature. Toss anything that looks or smells bad. Yuck. Remember that organic cosmetics, and those that have no preservatives, may expire sooner than others. Don't add water to thin out a mineral foundation or other cosmetics. Don't share cosmetics - similarly, avoid shared testers in stores. You're just asking for trouble.